Bike-powered urban fruit tree harvesters. 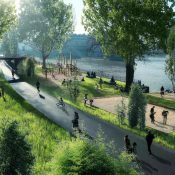 Back in May, we shared how the connection between bikes and urban trees here in Portland is so strong it’s garnered national recognition. 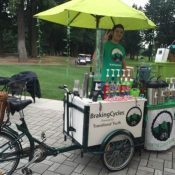 Now there’s another tree-related non-profit that has tapped into the power of bicycles to help further their mission. 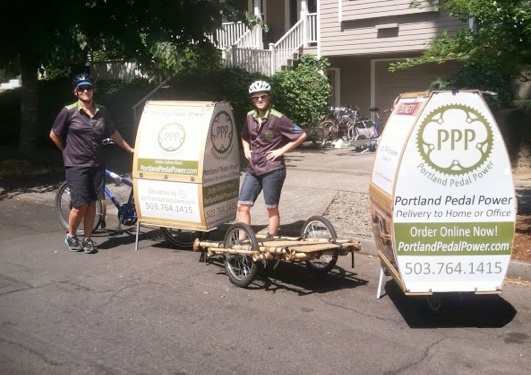 The Portland Fruit Tree Project had a “Bike-Powered Harvesting Party” on Saturday in southeast Portland. The non-profit organizes volunteers to harvest and take care of fruit trees that would otherwise be neglected. Half of the fruit goes to a local food bank (via their distribution partner Urban Gleaners) and the rest is taken home by everyone who participates in the harvest. 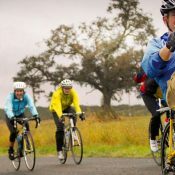 We love seeing human-power and bicycles being used for such a good cause. Thanks for the photos and the heads up Betsy. And thanks to all the volunteers who showed up by bike. 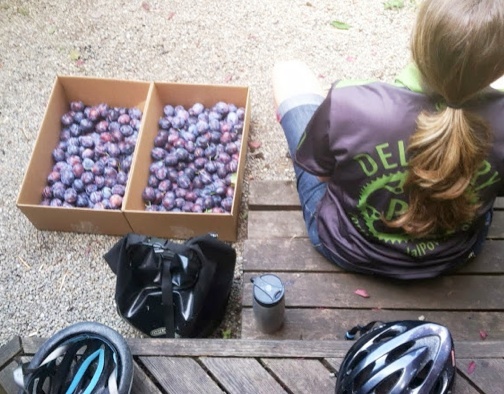 bike trailers and free fruit – it doesn’t get any better than that! Hats of to the Fruit Tree Project for doing this. There are a bunch more scheduled. The next one is this coming Saturday. You didn’t miss your only chance. Super fun group… We were able to deliver over a 100 pounds of fruit that would have went to waste otherwise. Thanks to both the Portland Fruit Tree Project and Urban Gleaners for giving us a chance to help make a difference. We cannot wait for the next event!! 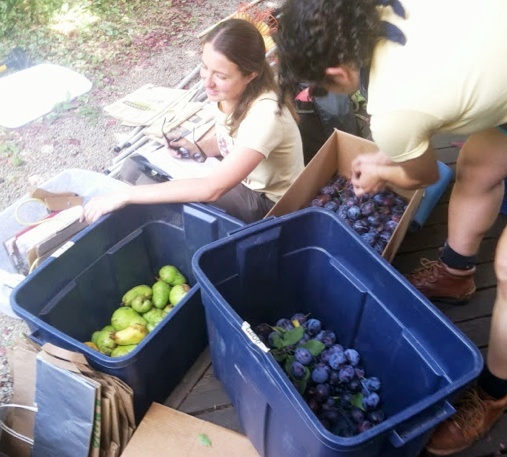 PFTP has several harvests a week through the fall–you can sign up for their email list on their webiste (www.portlandfruit.org). 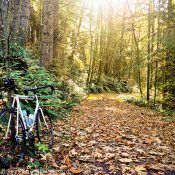 Bicyclists are of course encouraged to attend any harvest–not just the bike-specific saturday Richmond ones. 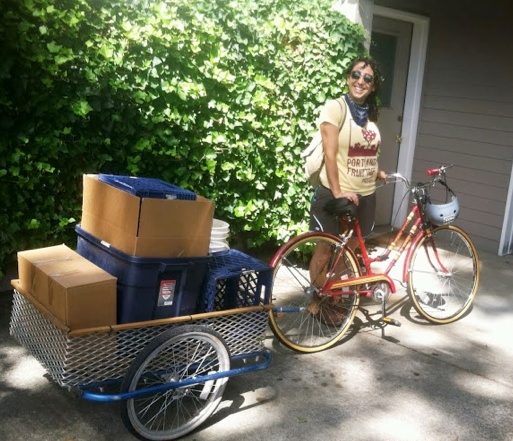 There are five more bike powered harvests this summer and fall. 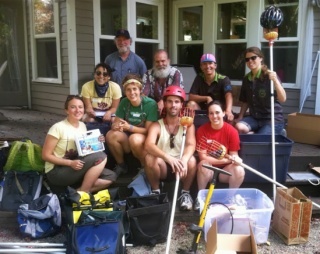 Check in with Portland fruit tree project fro more info.